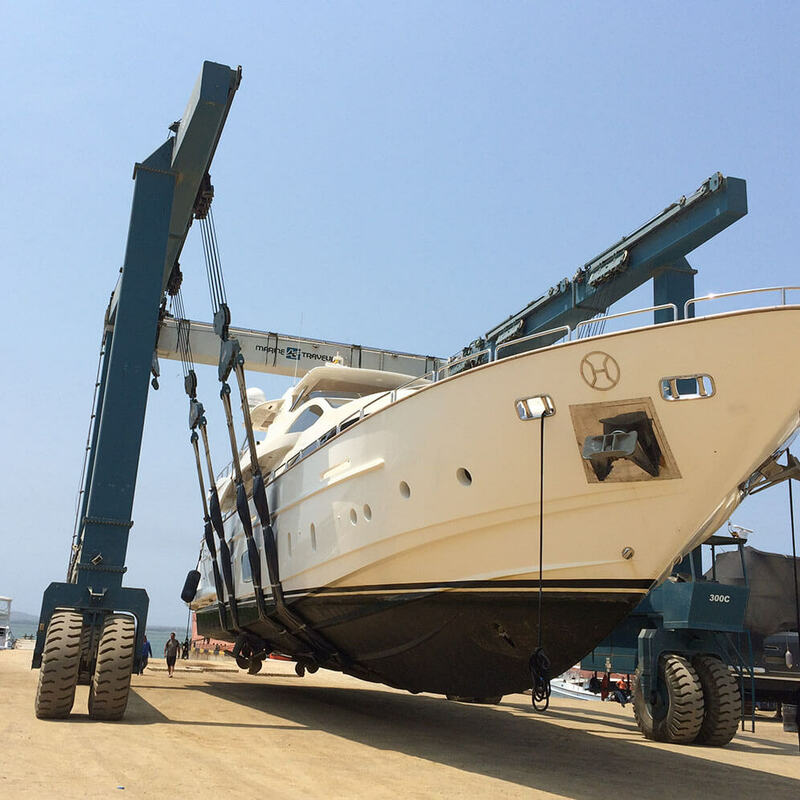 Take your vessel from ocean to land in less than 30 minute. 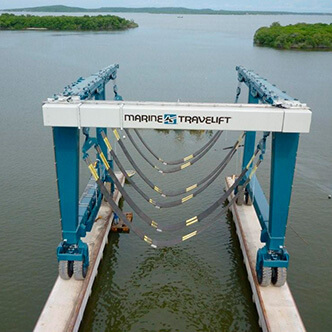 With a Capacity of 300 metric tons and twelve meters of width. 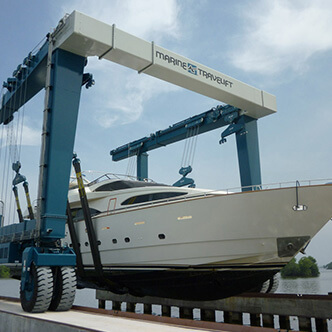 We specialize in the design, construction, repair and the maintenance of all types of naval vessels. 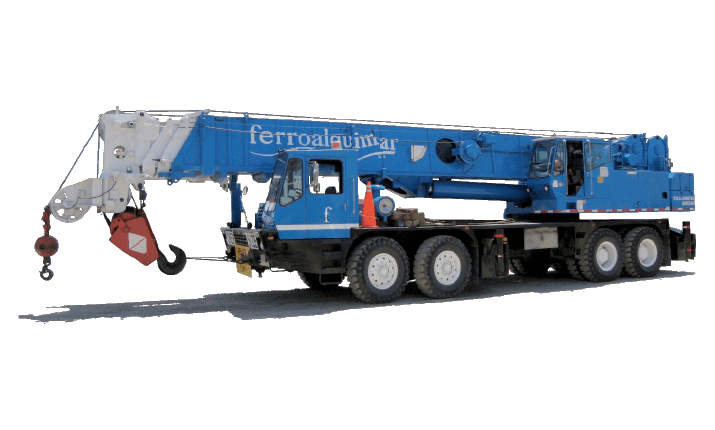 We haven telescopic cranes from 15 to 120 tons, equipped with LMI systems and a 7 ton forklift. 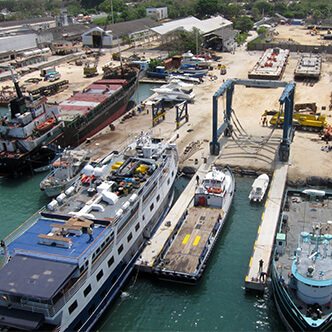 Shipyard service in design, construction and maintenance of naval vessels. 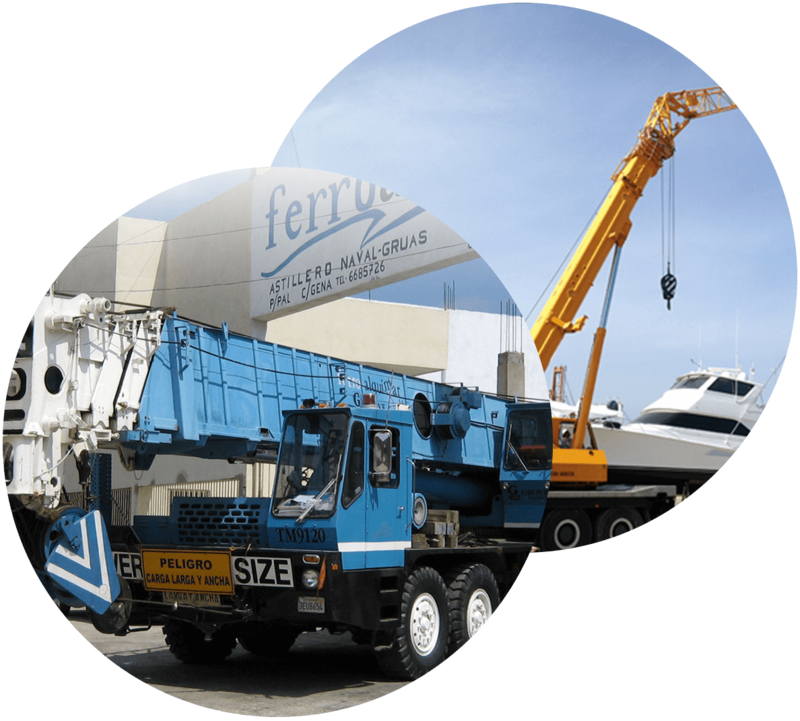 Certified Machinery and equipment rentals for loading procedures in industrial and port projects. 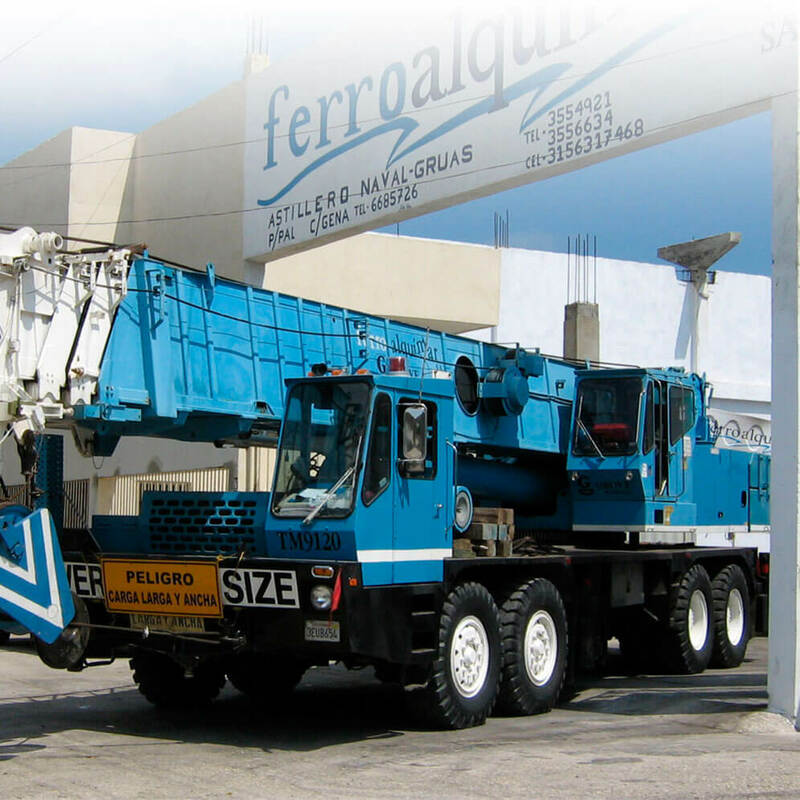 Born from the company fusion between ferrocem naval, leader in the sector, founded in 1947 and alquimar, most traditional crane company in the city of cartagena de indias. 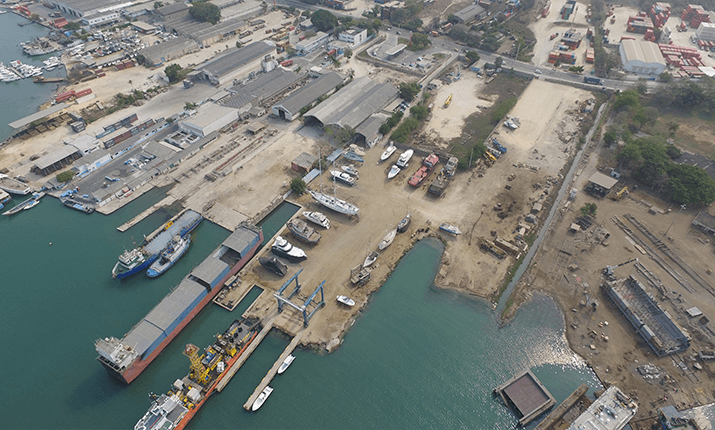 Our headquarter is located in the industrial sector of mamonal on kilometer 3, 10°21´44.2 north latitude and 75°30´38.28 west longitude on the border of the bay of cartagena with 182 meters of ocean front with a depth of 6 meters. 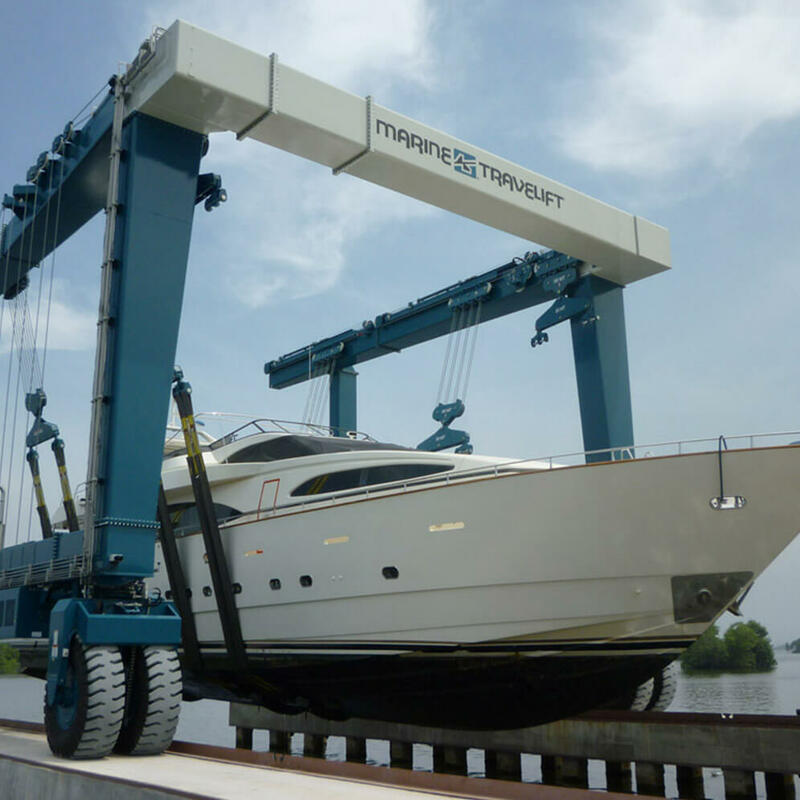 We are a naval shipyard company dedicated to the design, construction, and maintenance of naval vessels and certified machinery and equipment rentals for the loading of vessels in industrial and port projects. We are committed to the continuous improvement of procedures, technological innovations and development of human talent under the criteria of the social and business responsibility satisfying the needs and expectations of our clints. 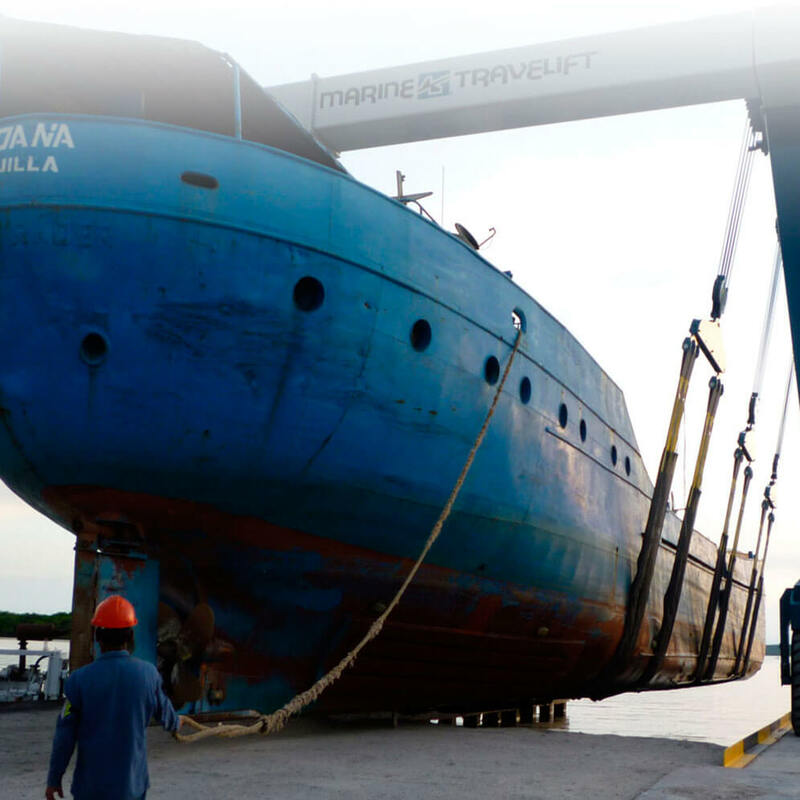 Become a leading company in the shipyard service of naval vessel design, construction and maintenance of medium sized naval vessels. Machinery and equipment rentals for loading and unloading of cargo with industrial and port projects. This is acquired with technological innovation and creative human talent, development of integral and differentiated services. 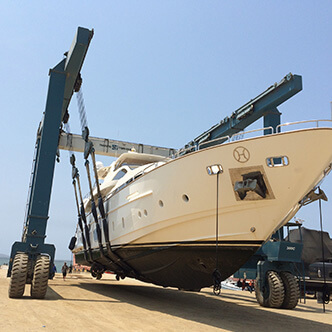 Specialized in the design, construction, and repairment of any kind of naval vessel. travelift in function for our clients in the carribbean and South America. 300 metric ton capacity and 12 meters of width spand. 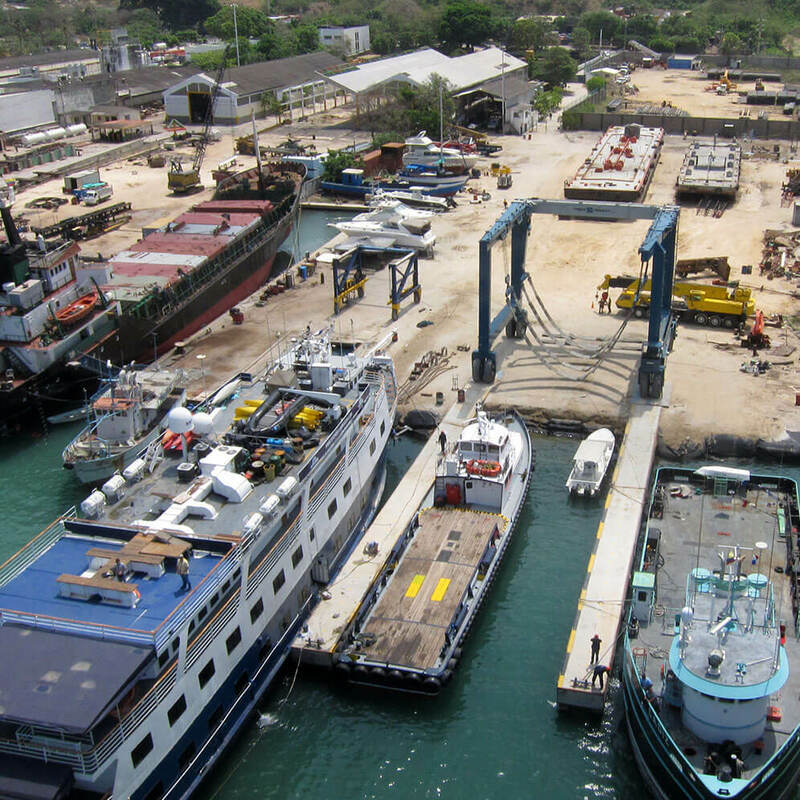 We specialize in design, construction, repairment and maintenance of any kind of naval vessels. 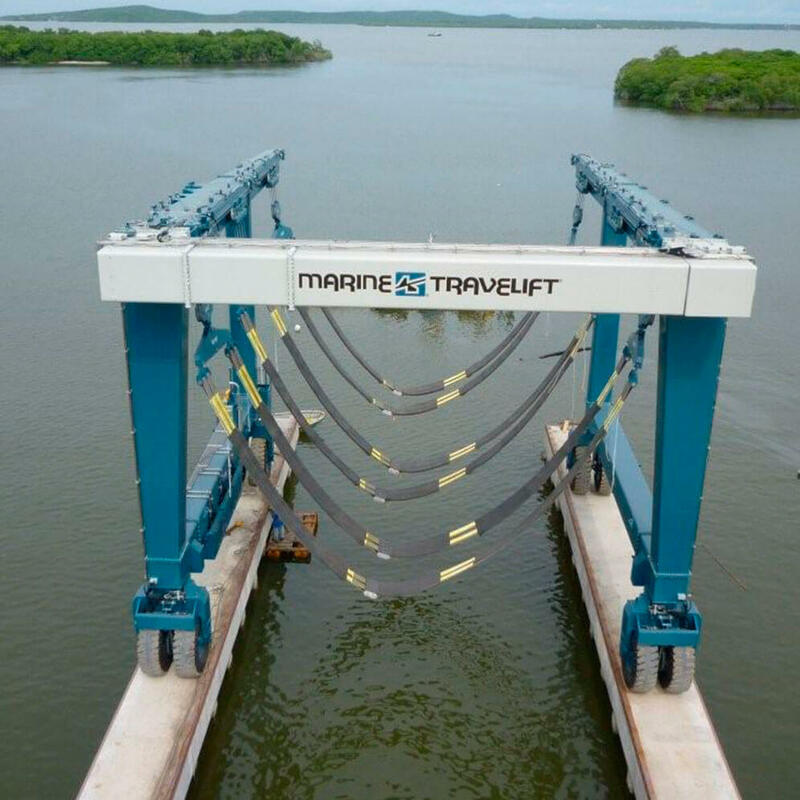 We are equipped with a 300 ton Marine travelift marine which is a technological innovation in Colombia and a 40 ton marine travelift for smaller vessels. 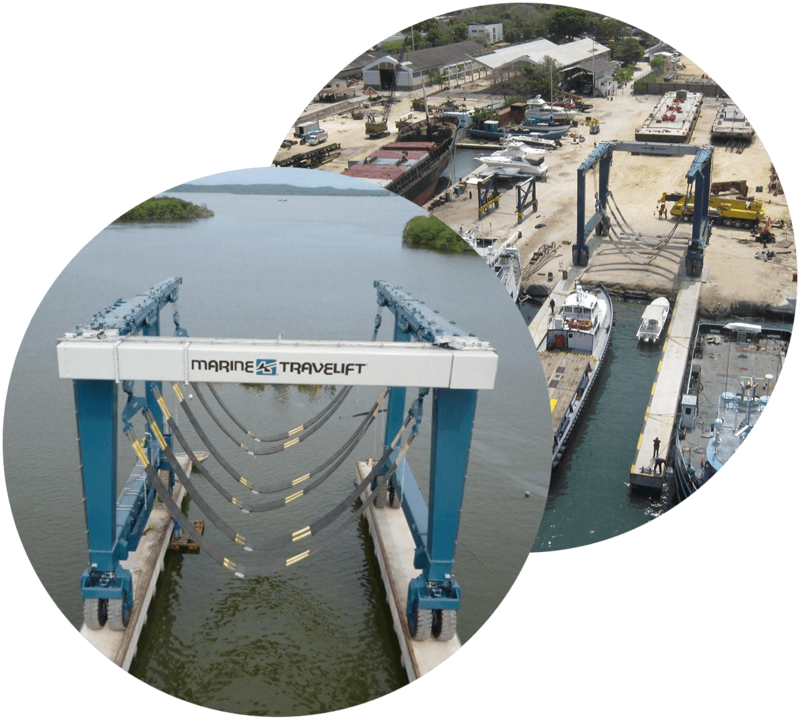 We can attend on our 237 meter dock vessels of up to 3000 tons and and 300 tons outside of water. We are located in the mamonal industrial sector on kilometer 3, 10° 21’ 44.2” north latitude and 75° 30’38.28” West longitude. 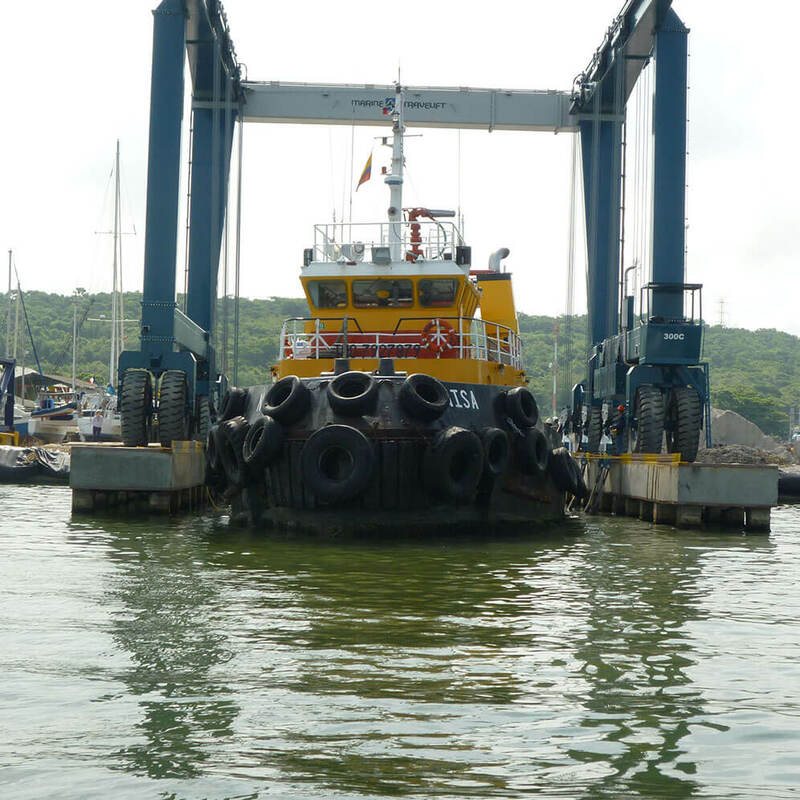 We are Bordered with 182 meters of water of the bay of Cartagena with a depth of 6 meters. 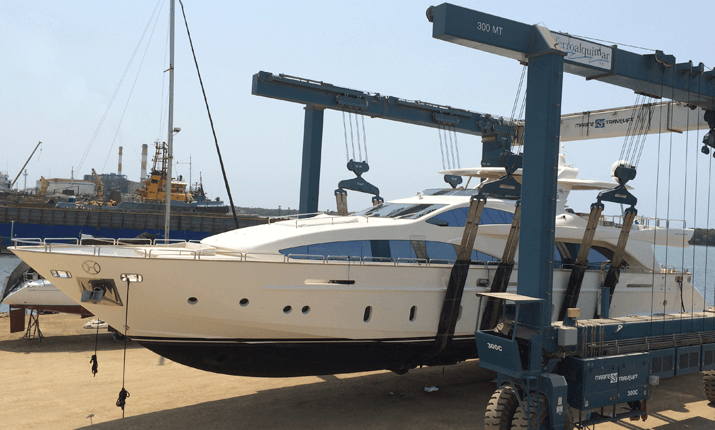 We offer our dock service for small and large vessels where we can administrate drinking water, electricity for vessels, welding equipment, disposal of garbage amongst other services. 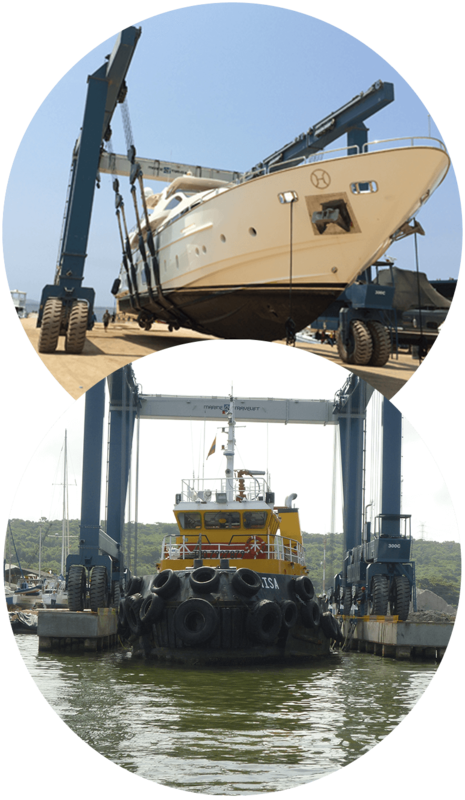 Certified Machinery and equipment for the movement of cargo with industrial and port projects. We are equipied with 15 ton to 120 ton telescopic cranes, a 7 ton lift and 30 ton lower bed lift. 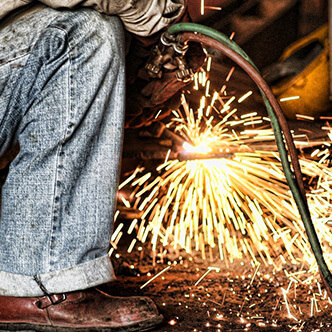 All of our operators, assistants and equipment are certified to guarantee our clients an excellent service with safety and quality. 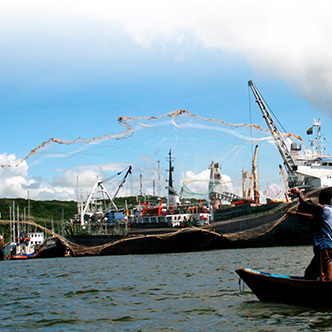 We attend clients from all over the costal carribbean of Colombia. 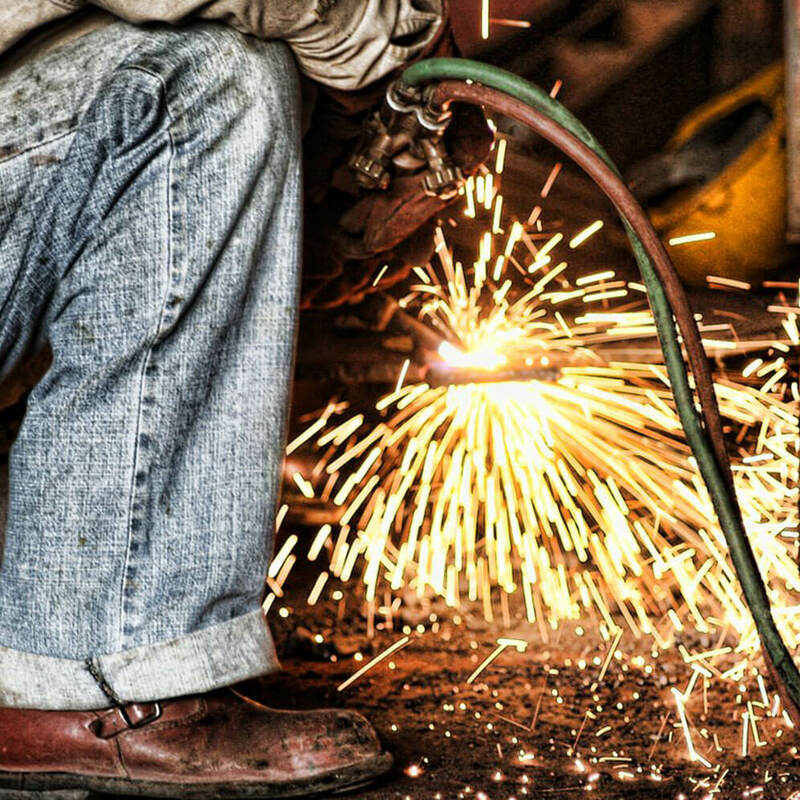 Our rates are varied with large discounts that are increased by the number of hours contracted obtaining a 10% discount per day and a 20% discount per week and a 30% discount per month and in case of hiring our services for more than 30 days, a special price will be designated with more than 30% discount. 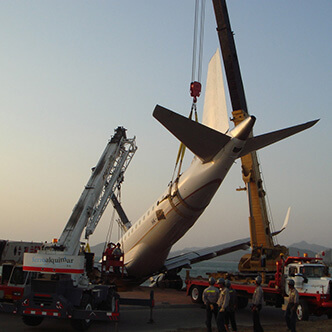 The cost of service includes insurance, operators, assistants, combustion, maintenance, chains, slings and braces or boards. 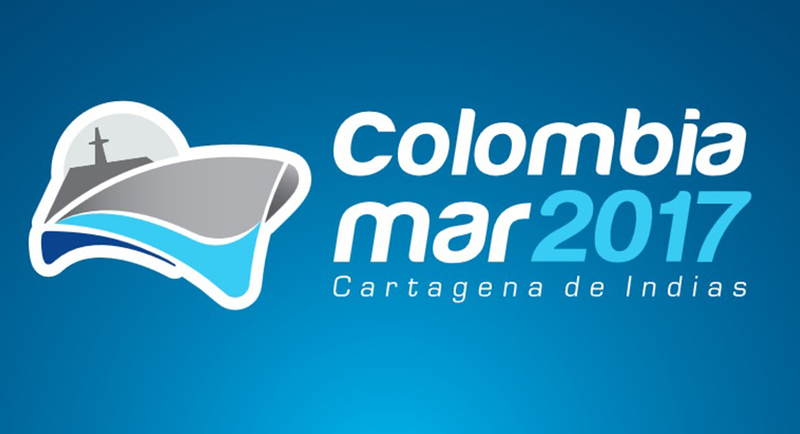 Our 2 agencies are located on the carribbean coast of Colombia, one in Cartagena via mamonal km 3 and the other in the city of Barranquilla located on via 40. We attend all of the coastal carribbean of Colombia. Some of the projects carried out. 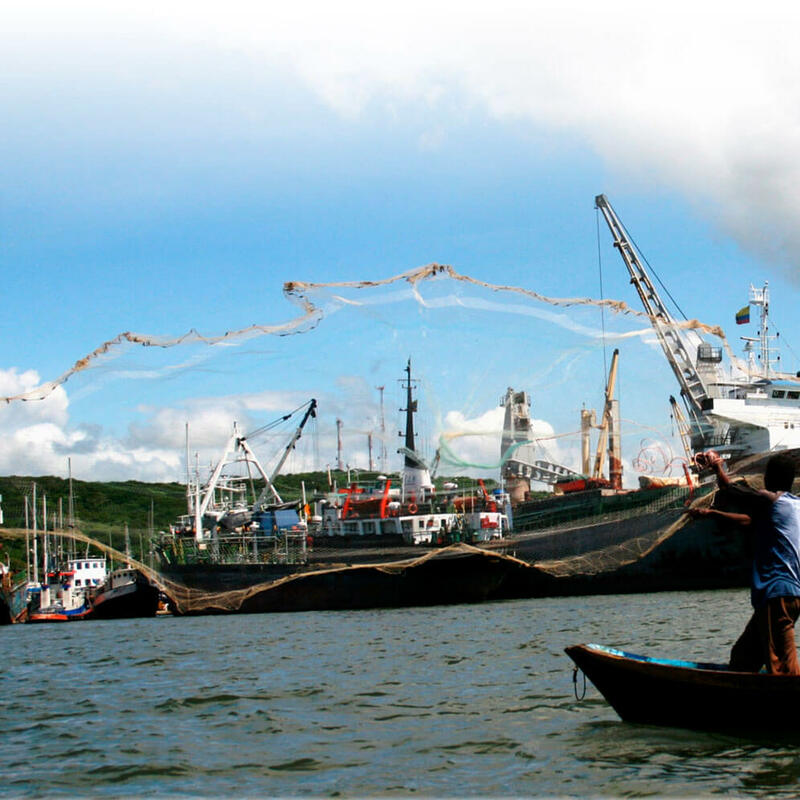 Keep informed of our company's news. We will be participating in the VII International Fair of the Naval Industry, is a commercial space that gathers the most select companies in the naval, maritime, fluvial and port sector, consolidating itself as an important showcase for suppliers of goods and services of that sector to promote their products , Find new business opportunities and know new technologies. We invite you to visit us. Table of distances from some countries of america.